Liverpool midfielder Alex Oxlade-Chamberlain will keep pushing for a regular starting spot at the Premier League club, the 24-year-old has said. 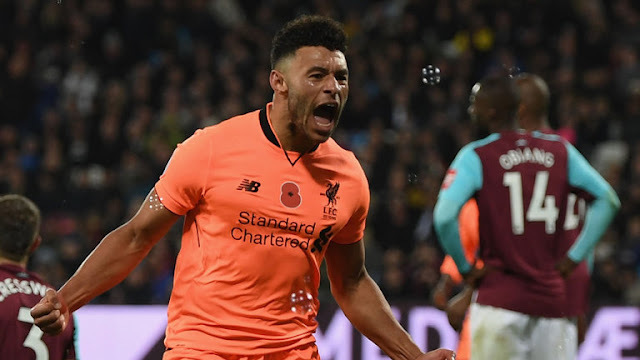 Oxlade-Chamberlain, who started his first game for Liverpool in their League Cup defeat by Leicester City in September, made his first league start during Saturday’s 4-1 win at West Ham United. The England international also scored his first league goal for Liverpool at the London Stadium, earning praise from manager Juergen Klopp. “It takes time to settle in and learn a new formation and style of play,” Oxlade-Chamberlain told the club’s website. (www.liverpoolfc.com) “I’ve had to be patient; I’d have liked to have played as much as I can, that’s natural. The only thing I can do when I get the chance is try to impress and help the team to win, with goals and creating chances. Liverpool are fifth in the league, 12 points behind leaders Manchester City, and host 13th-placed Southampton on Nov. 18.